Farm Management App packed with features to help you manage all Agricultural Operations. Our Agriculture Mobile Apps are scalable from small co-operatives, farmer producer companies to large agribusiness corporations and government agencies working in the sustainable development sector. This mobile application provides complete visibility from the field to market and tracks the value chain at even in remote, low bandwidth environments. Digital technology is changing the way businesses work. And there is no reason that technology will spare even the most traditional of businesses – agriculture. And with options to integrate more than 500 tools to make running agriculture businesses easy. 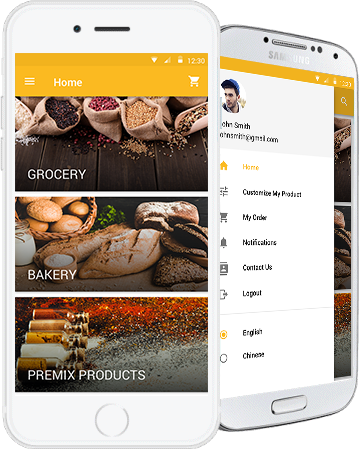 The Mobile App Maker’s apps for the agriculture industry are not just meant for large-scale industries, our solutions have been created and priced keeping in mind requirements of all businesses sizes. Our custom solutions reduce costs while maximizing the bottom-line. Maximize yield by better management of farms and farmer activities with mobile apps that are specially designed for all types of agriculture businesses – small, medium and large. Transform your business with innovative technologies for optimized productivity and costs management.